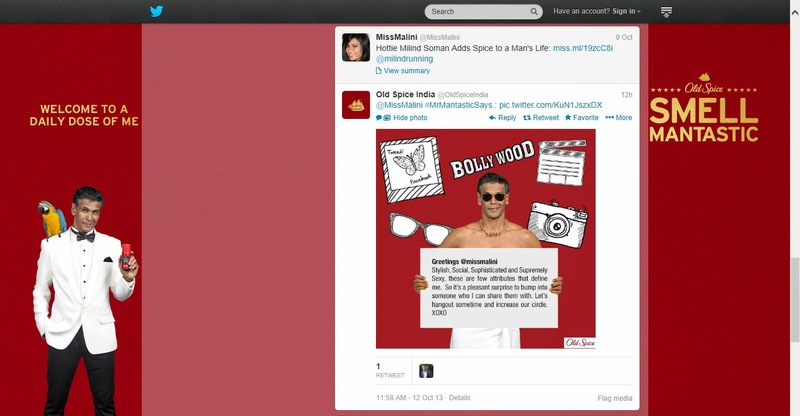 P&G India released new local advertising for their men’s grooming brand Old Spice last week. The ‘Smell Mantastic’ deodorant campaign, which is being claimed as an adaptation of the cheeky global commercials doesn't boast of any similarities, but stands its own ground. Roping in Milind Soman as the ‘man-tastic’ man, the tongue-in-cheek videos have been created by Wieden & Kennedy. The casting which needed to project raw masculinity couldn't have been more perfect. 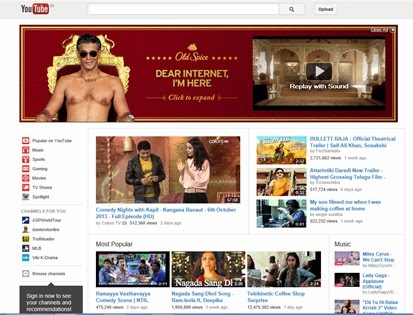 Digital promotions for the campaign were kicked off with a video masthead rich media on YouTube India home page. Two videos have been uploaded on the Old Spice YouTube brand page with the longer 1minute+ film clocking more than 1.4million views! Apparently there are more coming over the next two weeks. The Old Spice website profiles the products & variants, videos and downloadable wallpapers. The classic Old Spice whistle is also available as a ringtone download. The brand engaged its Twitter followers in a one-of-a-kind personalized #MrMantasticSays promo where branded fun one-liner images where shared with them. A great way to get people talking and sharing on social media. The iconic brand is also leveraging its presence on Facebook (over 500,000 fans) with frequent posts and updates. Can’t wait to see what they do next!